Can I substitute active baker's dry yeast for brewer's yeast? I was doing the shopping last night and I came across a line row of baker's yeast and I wondered if you could use that to make homebrew. After all, I'd heard of beer a craft brewer made from yeast found on his hipster beard, so why not use bread yeast? So I did some research, and it turns out you can use baking yeast as it is an 'active dry yeast'. The real question is should you use bakers yeast to make beer? Yeast is a wholly active part of the fermentation process, it's hugely relying on all kinds of factors to go right and a good yeast will make a good beer better. Many craft brewers would probably shudder violently at the thought of using a yeast that's normally used to make bread but let's have a look at the idea. 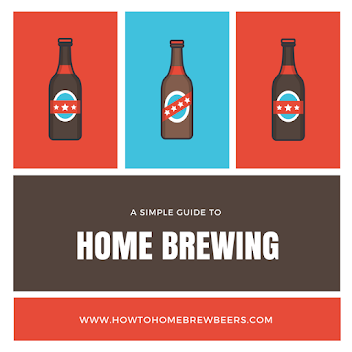 You can totally use baking yeast for brewing, as both yeasts (beer and baking) are different strains of the same species, Saccharomyces cerevisiae. Which sounds like a good starting place! A good question to start with is, what is the difference between baker's yeast and brewer's yeast? The difference between the two kinds of yeasts is their cultivation. Each has been grown for the attributes they bring to the final product. In the case of beer yeast, the popular strains have been cultivated for hundreds of years to hone their specific attributes being the beer flavour produced, attenuation (how well the sugars are fermented by yeast), and consistency. I found a great comparison of the two: brewer's yeast was bred to produce more alcohol and less carbon dioxide while baker's yeast was bred to make more CO2 and less alcohol. So be warned using a baking yeast in place of brewing yeast is like driving a Ford and expecting to drive like a Ferrari! There is, of course, nothing wrong with driving a Ford. How much baker's yeast to pitch? I've read that 11 grams of baker's yeast per 5 gallons or 23 liter fermenter drum are recognized by many brewers as a fair amount to pitch in. Too much more will probably be redundant. What ABV alcohol does bread yeast make? Bread yeast tends to ferment alcohol up to about 8% without too much effort which is a fine tolerance range for beer, but when trying to produce alcohol beyond this level, the bread yeast begins to struggle, very often stopping around 9% or 10%. And that's actually because beers are generally brewed between 4 and 8 percent. When using this yeast, you just have to be conscious that your beer won't taste as clean or look as clear as the beer that you may have become accustomed to brewing. This is in part because the yeast doesn't settle quite as well as most brewer's yeast does. If you are bottle conditioning, another trick you could try to clear the baker's yeast is by cold crashing the fermented wort (often referred to as the primary) and then racking it to a bottling bucket and then bottling. The reason is that the baker's yeast will likely stay suspended in the beer for a lot longer than brewing yeast does (it has a tendency to be awesome at floccing out and then sticking to the bottom of bottles). The cold temperature will force the baking yeast out of suspension and to the bottle of your beer. You can of course also try and use finings to help clear the baking particles. The careful pouring and chilling the bottles before pouring will help alleviate this somewhat. Can I use baker's yeast to make mead? You sure can. Wine too! Some specific mead recipes state to use baker's yeast! Can I use baker's yeast to make apple or pear cider? You sure can use baking yeast with your homemade hard cider brewing. If you do things right, you should be able to get a 6 percent alcohol content. I'd recommend you hydrate the yeast before you pitch it. Be careful about adding too much sugar. If you're worried your pitched beer yeast has run out of puff, in a pinch you could add some baker's yeast to help get things going again. Just remember by adding a second yeast, the intended nature of your beer's taste will change. If you go down this path you may need to activate the yeast in water before you pitch it, just to give it a helping hand. What baking yeasts can I use? Anything from your supermarket is a good place to start. In New Zealand, Edmund's Sure To Rise suits fine. Fleischmann's active dry yeast seems a popular choice overseas. There's a lot of amusing internet chatter about the "1847 Oregon Trail Sourdough Starter " which may prove an interesting point to start from. Do 'oxygen absorption' bottle caps work?